I love making this sauce, it’s perfect on just about everything. I use it on baked potatoes, steak, chicken, fish, shrimp, pizza, french fries, toast, noodles, rice, vegetables….. on and on. There’s a little asian market that as the sweet chile sauce for cheap, which is a great sauce on it’s own. Once you whip this up, you’ll see how great it goes on everything, it’s just a great combination of sweet, salty, and spicy. De-Seed and stem Habaneros, cut in half, lay them out skin side up on a cookie tray. Broil on high for about 10 minutes until the skin starts to blacken, don’t over do them. Once they are roasted, add to a food processor along with the rest of the ingredients, blend until smooth. 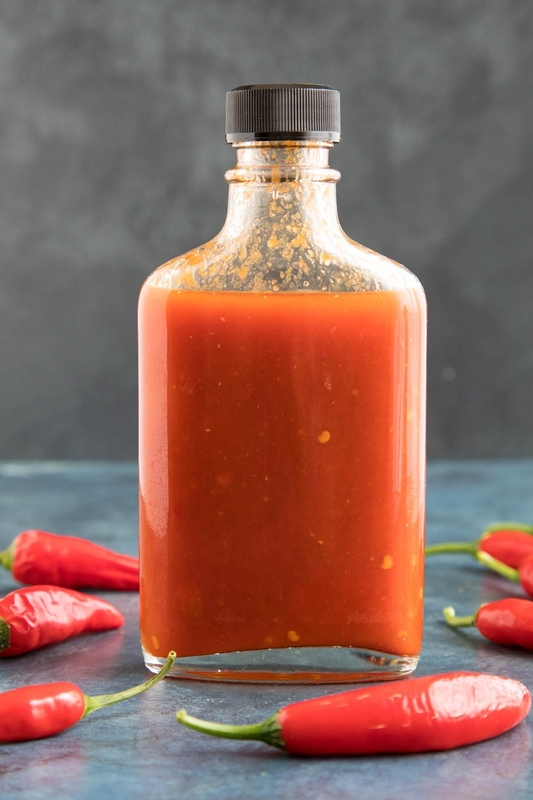 Pour this into an old ketchup or squeeze bottle and it will last about 2 weeks in the fridge.